Singapore’s hospital admissions grew 4.3% y-o-y in Nov’18 with the public sector taking a larger share. Singapore’s birth rate fell 4.9% y-o-y in Sep’18, the fourth month of contraction. The number of Singapore citizens aged 65 and over grew 6.0% y-o-y in 2018, unchanged from 6.0% y-o-y in 2017. November’s hospital admissions for the public sector grew at a faster of 5.6% y-o-y while private sector’s admission growth was flat at 0.1% y-o-y. Singaporeans are shifting from private to public healthcare service as well as having a higher preference for outpatient care as compared to inpatient care. Competition from the new and upcoming public hospitals in the next five years include the Sengkang General and Community Hospital, Outram Community Hospital, Integrated Care Hub, and Woodlands General Hospital will be an addition of 3,200 acute hospital beds and 1,050 community hospital beds. Between 2008- 2017, the number of doctors in Singapore grew at a CAGR of 6.1%, bringing the number of doctors per 10,000 people to 24 in 2017 as compared to 16 in 2008. The number of dentists per 10,000 people remained relatively flat at 4 in 2017 as compared to 3 in 2008. Singapore continues to face greater competition from increased medical capabilities in regional rivals such as Malaysia and Indonesia, coupled with rising costs (in accommodation and transport) and a strengthening SGD. Medical tourism in Singapore is turning less affordable and less attractive to foreign patients. Numerous healthcare companies are now expanding overseas such as RAFFLES MEDICAL GROUP LTD (SGX:BSL)’s upcoming hospital in Chongqing. Gestation costs could mute earnings growth initially, but a well-executed overseas expansion is likely to bring meaningful upside to earnings growth in the longer-term. up to 14 days of hospitalisation income at RM50/day or RM700 per annum. The scheme will be managed by Bank Negara Malaysia (BNM). 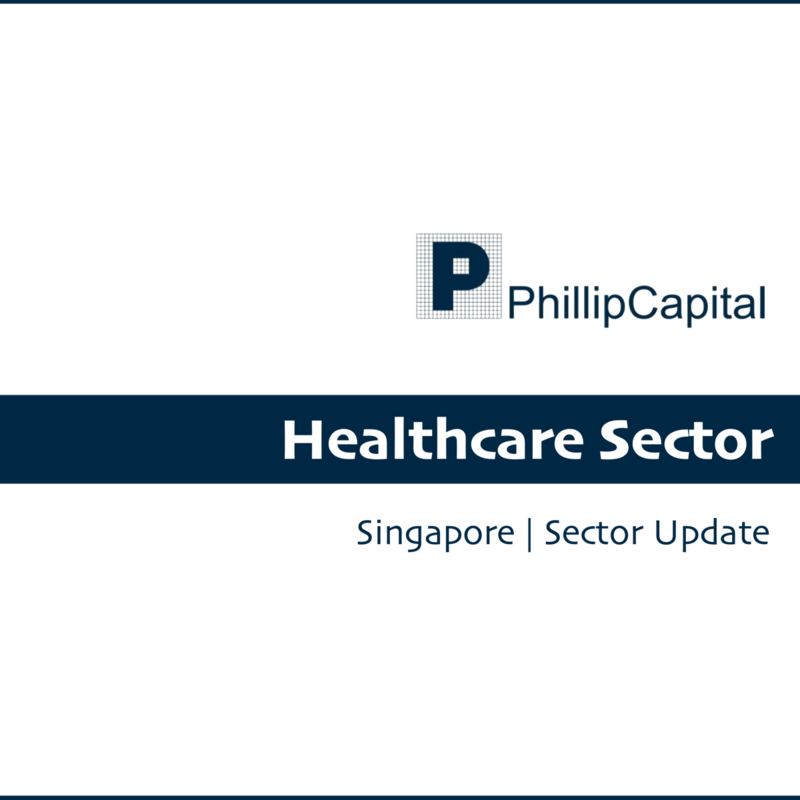 We maintain a NEUTRAL on the Singapore healthcare sector due to near-term headwinds. To regain its competitive advantage, the Singapore private healthcare sector would have to focus on speciality treatments, eliminate pricing surprises, and tap on overseas expansions, and mergers and acquisitions. However, the high standards of medical service quality, stringent healthcare regulations and increasing regional diversification should help the Healthcare sector to ride out these near-term headwinds.